This is the same awesome list of drills that you will find on Todd Green's 'Pistol Training' website. 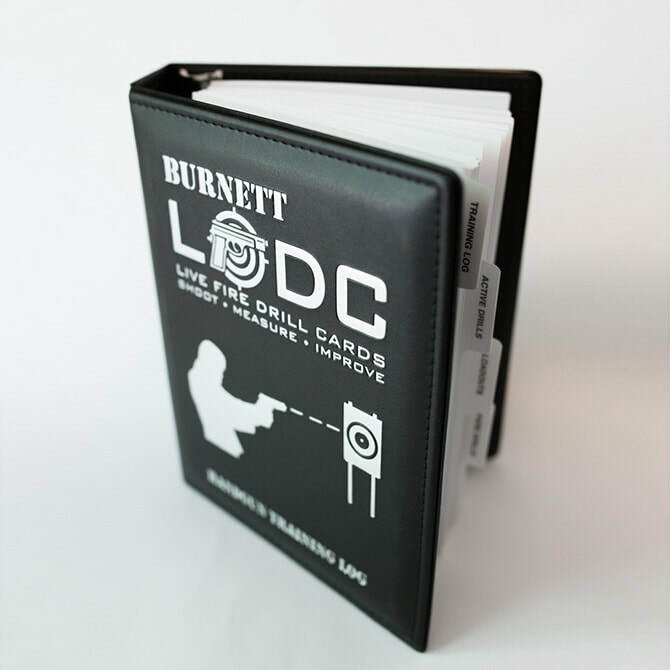 Steve Burnetts Live Fire Drill Cards training book is an incredible resource to use in conjunction with this list. ​​Target is a standard NRA B8 bullseye replacement center. Scoring is for actual points so a 10-ring hit is worth a lot more than peripherals. 3-Two-1 is a close range drill focusing on speed and precision as well as the ability to change gears seamlessly. It uses a 3×5″ rectangle, a 2″ circle, and 1″ square. For simplicity’s sake, we have created a target specifically for this drill. Another quick and easy to set up/score shooting test by Bill Wilson of Wilson Combat. It is intended for a service pistol of 9mm caliber or larger, concealed carry suitable holster and ammunition with a power factor (bullet weight x velocity) of 125,000 or more. Scoring is standard Vickers with a half second penalty per point down. Draw and fire 5 shots freestyle. Draw and fire 5 shots SHO (strong hand only). Draw and fire 5 shots freestyle, reload from slidelock and fire 5 more shots freestyle. Draw and fire 4 shots to the body and 1 shot to the head freestyle. Remember, you fire however many shots you need to get a hit. 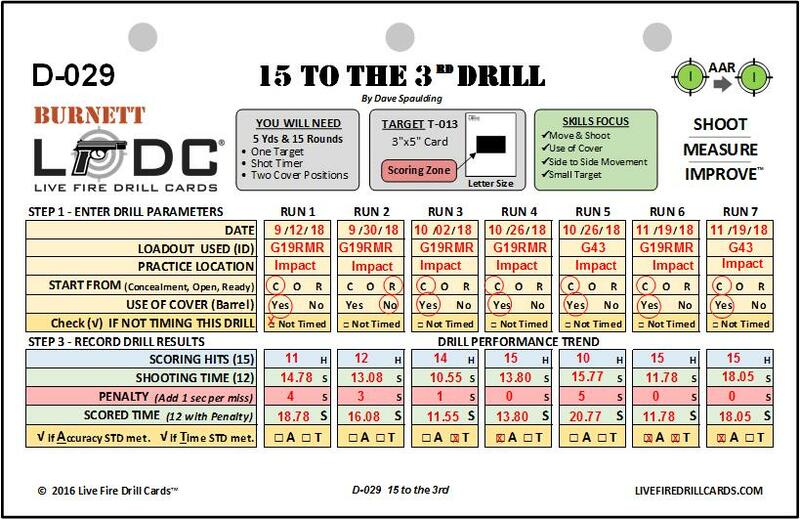 At the end of the drill you should have a total of fifteen times recorded. Add them all together to get your score. All fifteen runs — 5 freestyle, then 5 SHO, then 5 WHO — have to be shot consecutively with no “free passes” or excuses. Draw, fire two rounds at the small target, then as many hits on the large target as possible before the par time runs out. This emphasizes a very precise draw and first shot, which is especially important on Traditional Double Action (DA/SA) guns. After hitting the smalltarget twice, the shooter must speed up to get as many hits on the large target as possible within the par time. As of 2010-Sep-22, no one has ever claimed a perfect 700 on the drill. ​The drill is called the Triple Nickel because the agency uses a five second standard to complete the drill. Shooters who can successfully perform the drill in under five seconds three times in a row with 100% hits are awarded a special commemorative coin. That is a draw from concealment, a reload, and ten hits on a total of five targets in under five seconds! Read each box starting from left to right and use that cadence to fire the 4 rounds into that zone. Start at 30' for the box on the left. Move to 20' and use the second box. Finish at 10' with the box on the right. 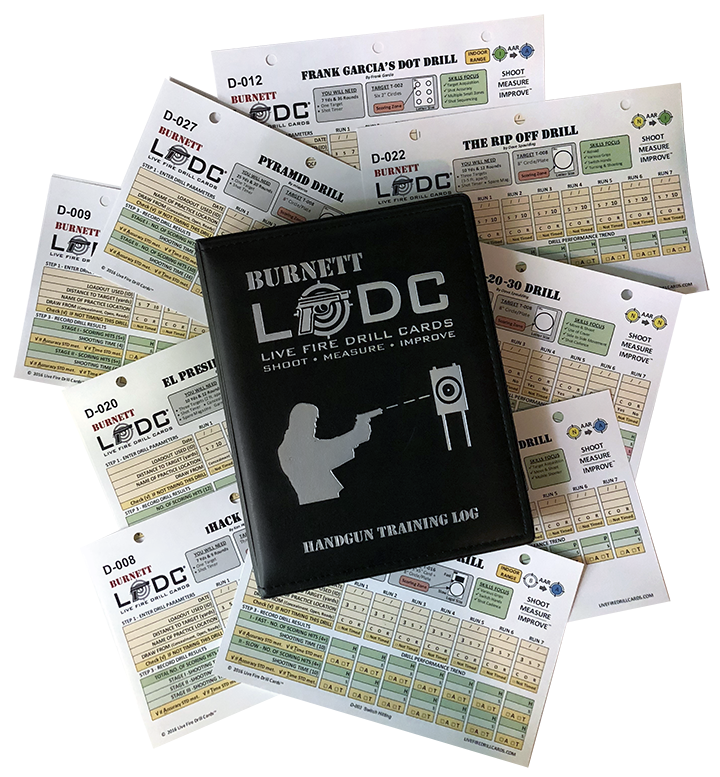 This Training Log has everything you need to track your improvement if you are just learning to shoot or have developed advanced skills. 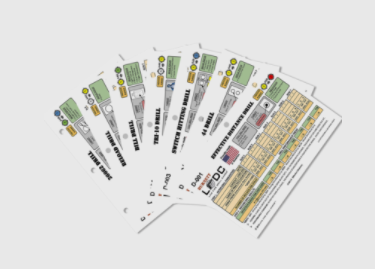 Includes all 60 fun and popular drills. The soft, half size leatherette binder is comfortable to use and easily fits into most range bags.